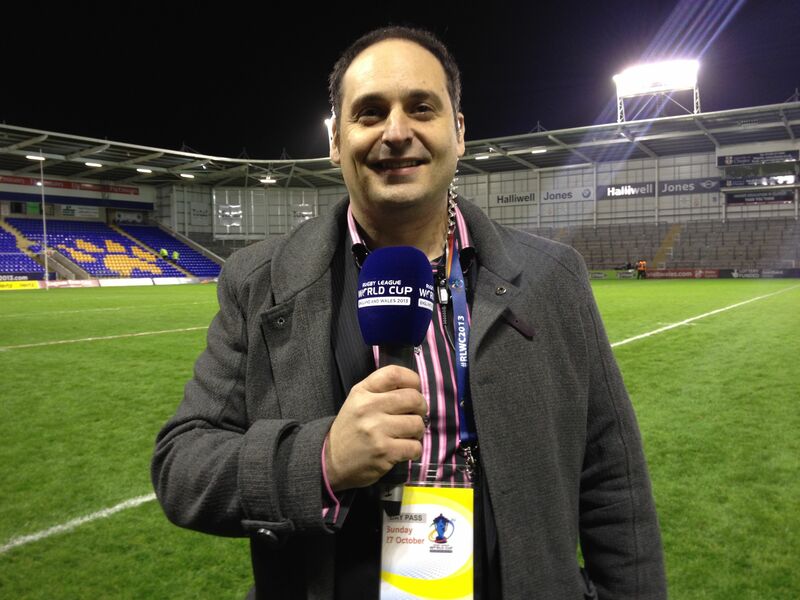 Dominic is the Stadium Host for Warrington Wolves and has just completed his 9th season as the voice of the Halliwell Jones Stadium. You’ll also hear Dominic at Turf Moor, he’s the Pitchside Announcer for Burnley Football Club having announced for the Clarets in the Premier League and Championship. In 2013, Dominic was asked to announce for the Rugby League World Cup, hosting games at the Halliwell Jones Stadium, AJ Bell Stadium and the Racecourse Stadium. More recently, hosting the final game in the England v New Zealand series which was shown live on BBC TV. Over the years, Dominic has also hosted Australia V New Zealand in the Gillette Four Nations as well as working on the 5ive Tour at the MEN Arena in Manchester, Steps Tour at Wembley Arena, hosted Liverpool Reserves for two seasons, hosted games at the DW Stadium, hosted for Accrington Stanley FC and events at the Metro Radio Arena and Rioch Arena. Dominic is available to host any stadium event whether it be sporting or a musical event.